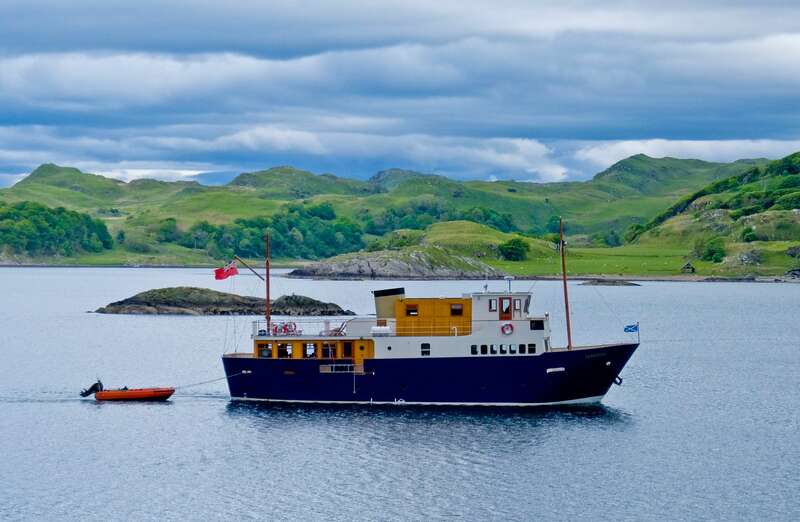 Scottish small-ship cruising specialist, The Majestic Line, is adding to its fleet with a fourth ship for summer 2019. The ship, Glen Shiel ­­– named after a tranquil Glen on the North West mainland – is being built at Ardmaleish Boatbuilding Co. Ltd on the Island of Bute and will have more powerful engines and an improved observation saloon. Similar to sister ship Glen Etive, she will undertake 10-night cruises, this time sailing to the West coast of the Outer Hebrides, St Kilda and rugged and remote Wester Ross. Accommodation will comprise of seven ensuite double or twin cabins taking a maximum of 12 passengers including space for 2 singles. Jane McDonald sailed with The Majestic Line in May 2016 for her first series of Cruising With series, which was aired in February 2017.